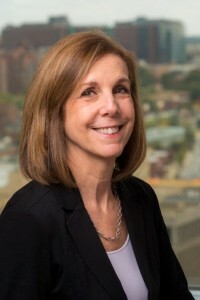 Carolyn Jacobs concentrates her practice exclusively in the area of health care law representing physicians and physician practices, hospitals, health systems, medical staffs, and other institutional and individual health care providers on a wide range of business and regulatory compliance matters as they face an increasingly regulated and constantly changing regulatory environment. Areas in which Ms. Jacobs assists clients include employment contracts, joint venture and other transactions, general business matters, corporate and regulatory compliance, privacy/HIPAA, clinical research, and professional licensing and discipline. Ms. Jacobs regularly advises health care clients on federal and state regulatory matters, including anti-kickback and physician self-referral (Stark) laws . Ms. Jacobs’ regulatory expertise also includes licensing and certification, reimbursement and Certificate of Need issues. Ms. Jacobs also handles all aspects of medical staff matters including bylaws, credentialing, and privileges. © 2019 Jacobs & Dembert, P.A.